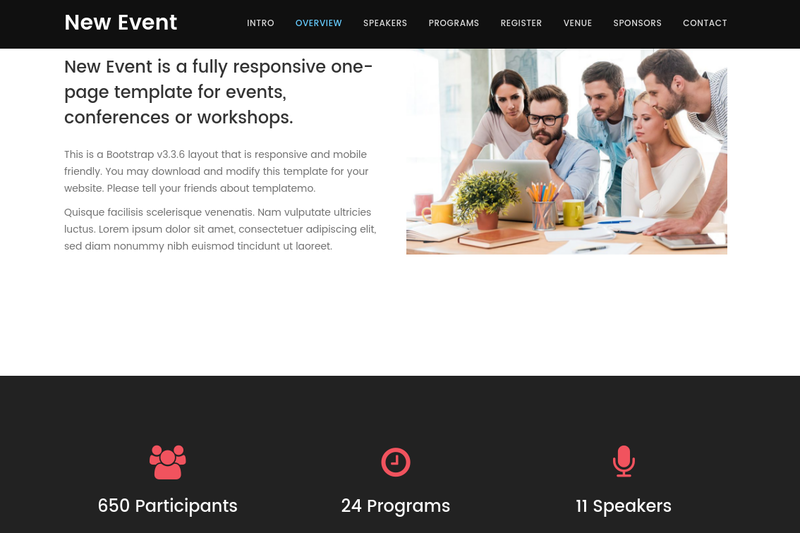 New Event is a fully responsive one-page template for events, conferences or workshops. 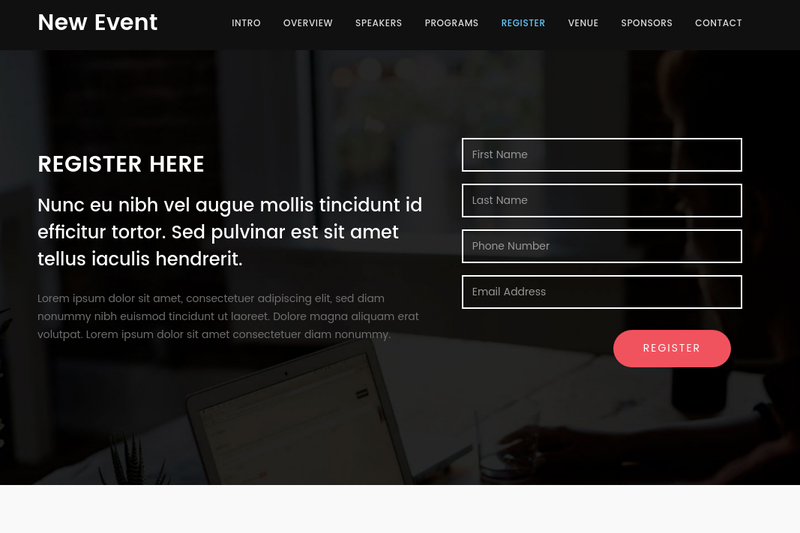 This is Bootstrap v3.3.6 parallax layout. 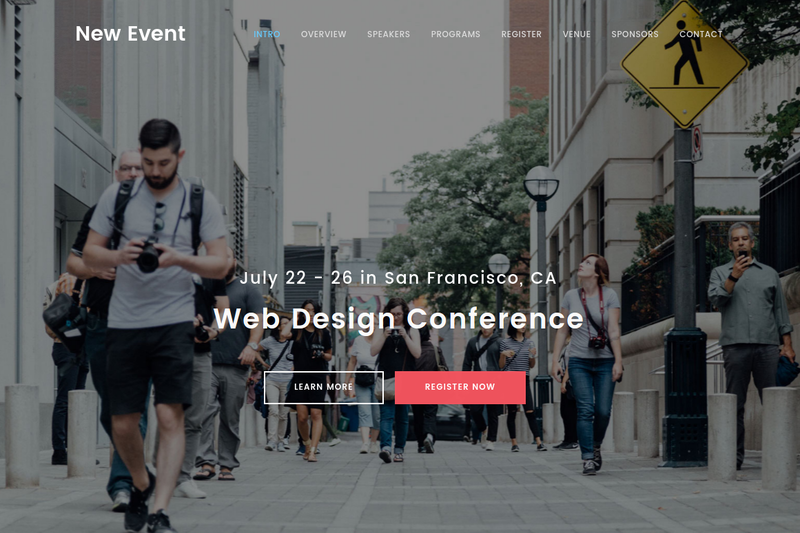 Contents are organized in carousel, tabs, and accordion. 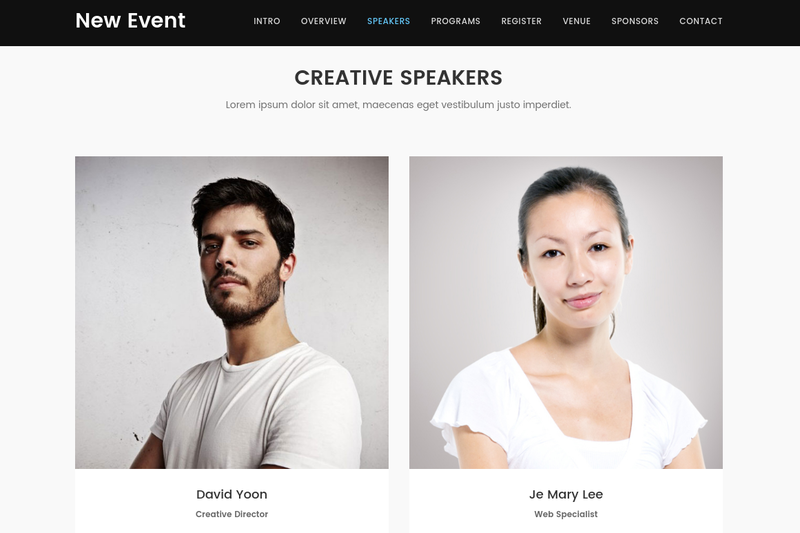 New Event is a fully responsive one-page template for events, conferences or workshops. 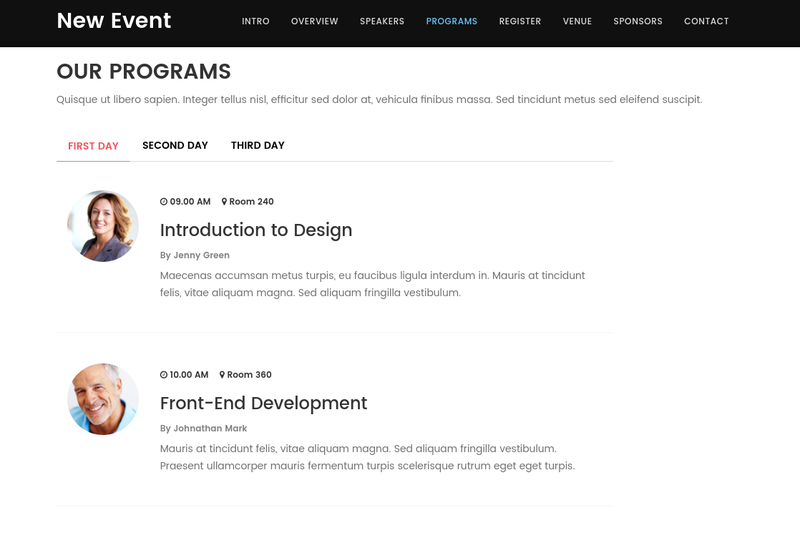 This is Bootstrap v3.3.6 parallax layout. Contents are organized in carousel, tabs, and accordion created by Templatemo. Initial release of New Event theme.